Our board-certified plastic surgeon, Dr. James E. Vogel, was recently invited to participate in a wide-ranging podcast discussion for Plastic Surgery Weekly. The organization conducts regular podcast interviews with some of the most prominent plastic surgeons in the U.S. Talking with host Clint Evans, Dr. Vogel discussed his practice, his experience, and why he chose plastic surgery as the field to which he has devoted his career. He then went into a detailed discussion about KYBELLA™, the new non-surgical treatment recently approved by the FDA to reduce excess fat under the chin. Dr. Vogel says this revolutionary alternative to liposuction can help many individuals who have a “double chin” enhance their profile without the need for invasive surgery and extensive downtime. 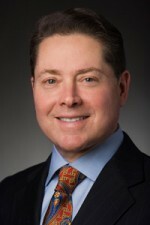 During the interview, Dr. Vogel also talked about the future of plastic surgery and the dangers of patients going to some countries abroad in order to save on costs, as well as the importance of seeing an impeccably-credentialed, board-certified plastic surgeon when considering any type of major surgical or non-surgical cosmetic enhancement procedure. If you would like to learn more about KYBELLA™ or other advanced procedures available at our practice, please contact us today.